To request our current mold and bacteria sample testing prices, please call 905-290-9101 (Toll-free: 1-866-813-0648). What You Needed To Know About Cost of Mold Testing. The cost of mold test kits can vary greatly from one provider to another. Before settling for a low price or a high price. Do some homework! Mold projects can end up in costly lawsuits. 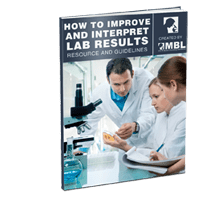 You want to be sure the lab you use not only provides accurate results but they would also be able to defend the testing methods they use in a court of law. What level of identification do they provide? What are their qualifications? Do they participate in a quality control/assurance program such as AIHA EMPAT? 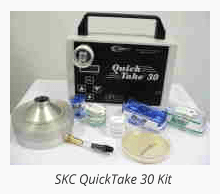 SKC QuickTake 30 Kit – The QuickTake 30, is a high volume air sampling pump that operates at a constant flow rate of 10 to 30 L/min. 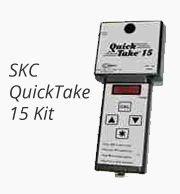 QuickTake 30 is ideal for use with BioStage Impactors, spore trap cassettes such as the VersaTrap, Air-O-Cell Cassettes, asbestos cassettes, microvacuum cassettes, or other samplers that require flow rates of up to 30 L/min. Sample Pump click the image of the pump. 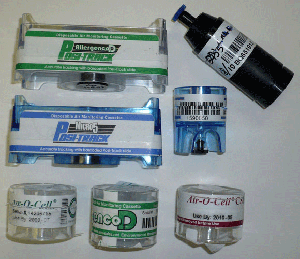 Spore traps (VersaTrap Cassette or Air-O-Cell Cassettes) fit directly and easily onto pump inlet. Can be used with Spore traps (VersaTrap Cassette or Air-O-Cell Cassettes) attached to sampling wand accessory. Mount with Spore traps (VersaTrap Cassette or Air-O-Cell Cassettes) on tripod accessory to monitor breathing zone level. Use with Spore traps (VersaTrap Cassette or Air-O-Cell Cassettes) and wall adapter for mold screening in wall cavities. These cassettes collect airborne spores, pollen, fibres and other particulates on a sticky surface. Collected material are analyzed by direct microscopy. No culturing is required. Mold spores identified to genus level where possible. Results can be obtained the same day or even onsite hence useful for final mold clearance. Samples generally taken for 5 or 10 min. 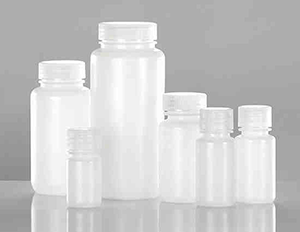 Samples may be taken for longer or shorter periods depending on the environment being sampled. RCS Agar strip – Used for culturable air samplesThe Biotest Agar Strips are used with the RCS sampler (High Flow, Isolator, Plus and Standard Microbial Air Sampler). They are easily loaded into the rotor of the sampler. The Agar Strip packaging is composed of a plastic holder with grids (wells) filled with 11 g of a sterile specific solid agar medium. 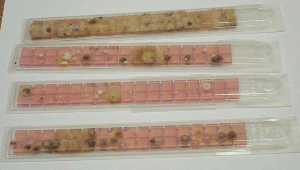 Each agar strip is individually enclosed in a PET (polyethylene terephthalate) plastic to protect them from contamination. Sterile swabs are ideal for testing the level of contamination on surfaces. Swabs are very useful on hard-to-reach places such as crevices. Both mold and bacteria can be tested by culture methods from a single swab. It is recommended that wet swabs are used on dry surfaces and dry swabs on wet surfaces. Wet culture medium swabs are required for bacterial sampling. Chlorinated water should be treated with sodium thiosulfate (available – please let us know) to neutralize the chlorine. Water samples should be brought to the lab ideally within a few hours of sampling. (Please contact us to discuss your needs and how we can help). Mold & Bacteria Consulting Laboratories (MBL)Inc. Please call us 3 to 4 days in advance to ensure that we have everything in stock. Should you have question about any services or our bacteria and mold testing kits, please send your question to Mold & Bacteria Consulting Laboratories or fill out our Contact Form and submit for priority attention. Complete confidentiality is guaranteed. For immediate assistance call 905-290-9101.